Westside Pest Control Ltd. can help all homes, commercial buildings, warehouses, and other locations with bat eviction services in Greater Vancouver. 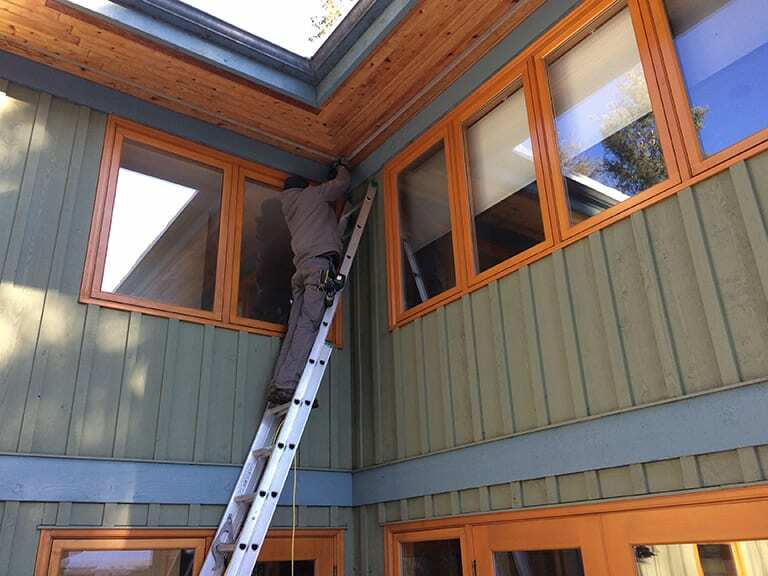 Our technicians will help to protect your home or facility by installing one-way bat cones and then sealing gaps in siding, vents, and chimneys. Why Are Bats A Pest Issue? Rabies – this disease is transmitted via bat bite. It is probably the most common disease associated with bats which they can transmit to both animals and people. Rabies can be make you very ill and in rare cases can kill you. Histoplasmosis – a disease that generally attacks the lungs. It is caused from bat dung (guano), which when grows fungus, can become very dangerous. Bats have also been linked to other diseases like; SARS (severe acute respiratory syndrome), ebola, marburg and nipah. Unwanted bats in your home or business? Call Now! by the BC Wildlife Act. 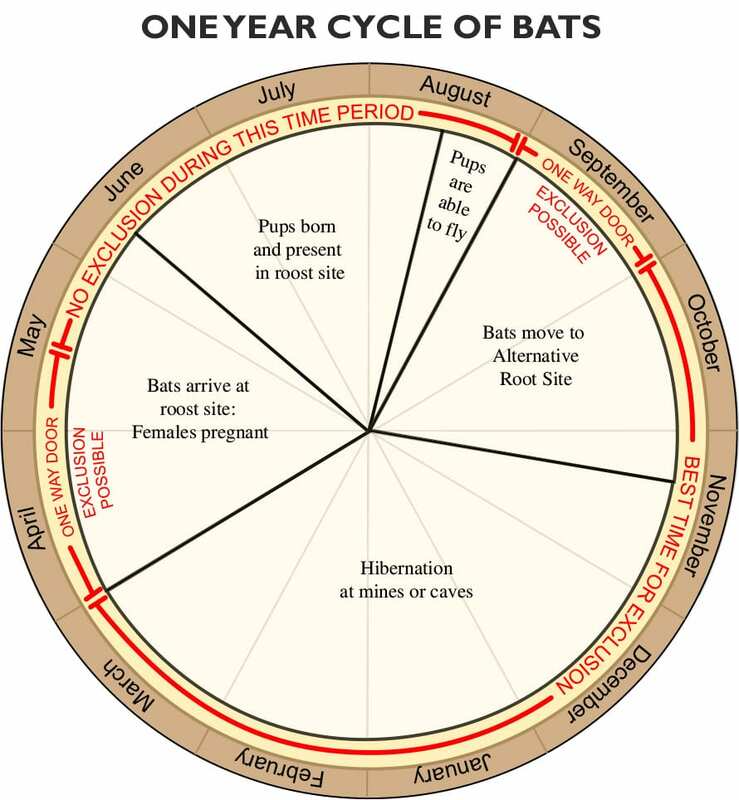 Bats can only be evicted in the appropriate season in a safe and sensitive manner. all the places bats could enter into or use in a house. Is this a night roost? Night roosts are places that bats use ￼￼￼￼￼￼￼￼￼￼￼￼￼￼￼￼temporarily during the night to rest between feeding bouts and include covered patios, door ways, and carports. Bats are rarely seen but droppings are observed in the morning. Is bat eviction necessary? There’s no reason to evict them if there is little chance for contact with people. 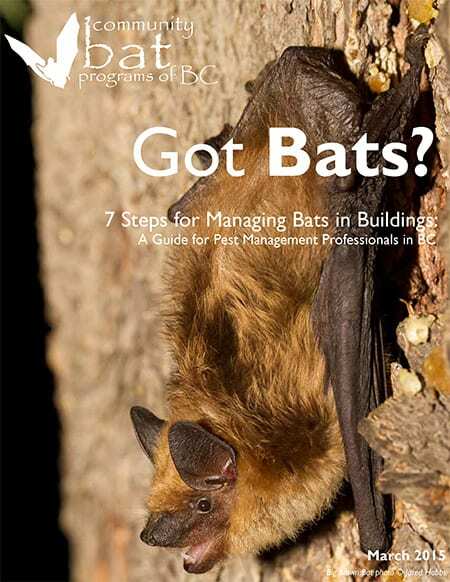 Prevent guano and bats entering inside the human living quarters by sealing spaces in floor joists and other entry points between roost and human living spaces. Look for telltale signs of bat entry. These could include brown stains on walls where they squeeze in or accumulated guano below the entry point. Providing alternate roosting habitat increases the chances of successful and safe eviction of bats. Install bat houses as high as possible (at least 3 1/2m (12’) high), on south facing exposures to receive at least 6 to 10 hours of sun. 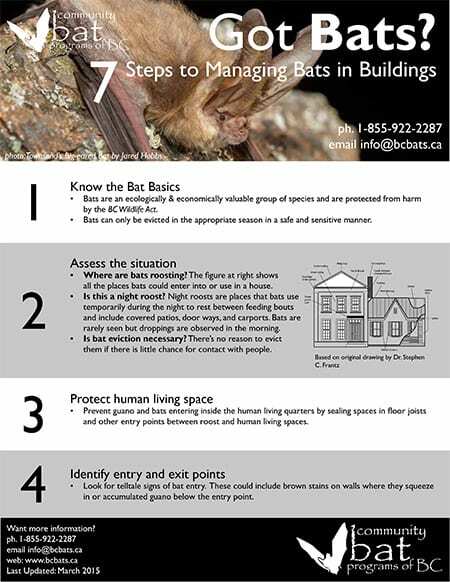 Bat houses should be installed in an uncluttered location without branches, buildings, or poles in front or below it. Use only large, multi-chambered designs like a four-chamber nursery box or a two-chamber rocket box. Designs can be found at www.bcbats.ca. 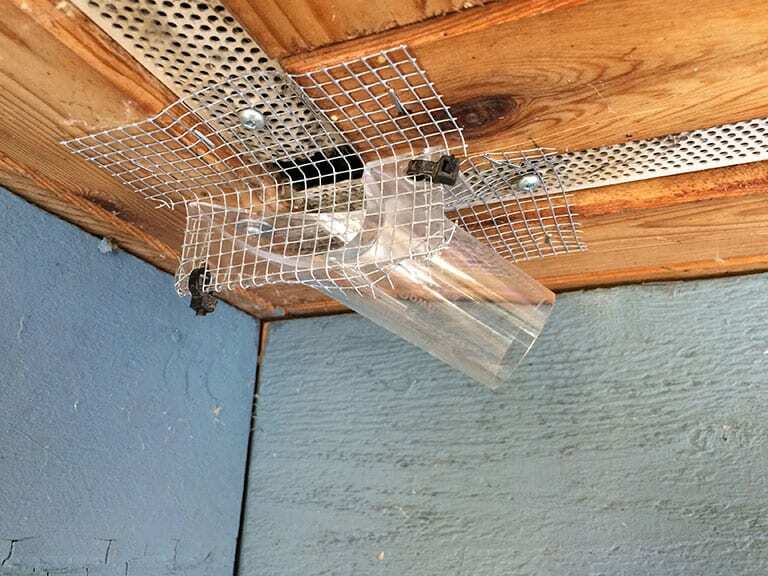 Use a one-way exit device (such as a bat cone) to avoid trapping bats inside the building. This will allow bats to exit but not re-enter. Evictions and exclusions are not permitted during the maternity season from May 1 to September 1. Ideally, evictions should take place in fall (September or October). Check for presence of bats prior to doing an eviction. Clean out guano and remove soiled insulation. can enter through 12mm (1/2”) holes and cracks. Need help with Bat Eviction in Vancouver? Call Now! Need help with Bat Eviction in Vancouver? Community Bat Programs of BC: www.bcbats.ca. 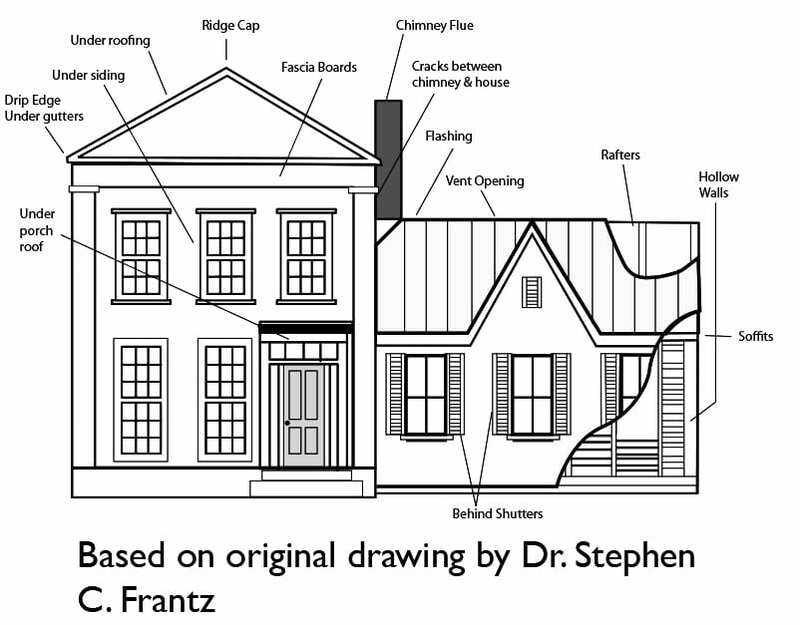 Plans for bat-houses can be found here as well.